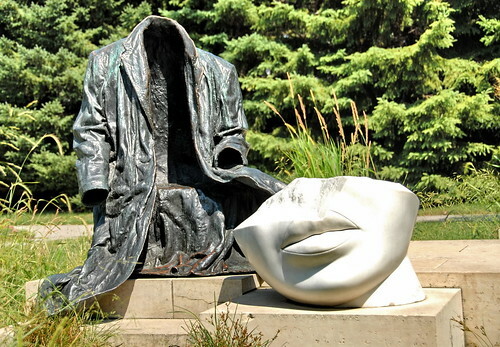 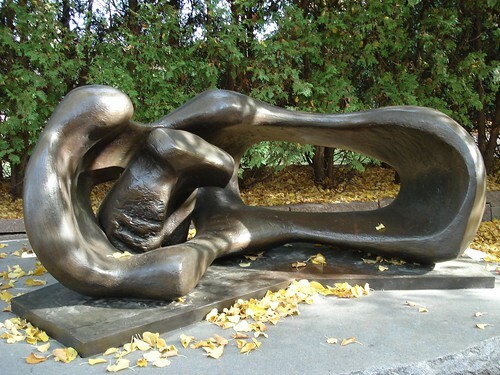 The Minneapolis Sculpture Garden is one of the largest urban sculpture gardens in USA. 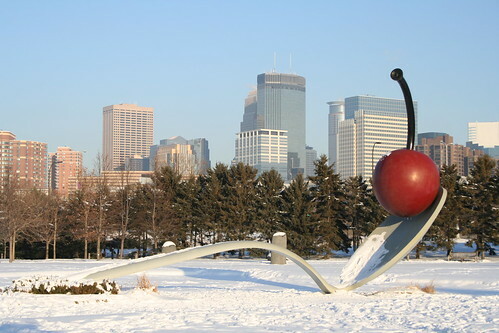 Located near the Walker Art Center in Minneapolis, Minnesota, the Garden is spread over an area of 11 acre (45,000 m²). 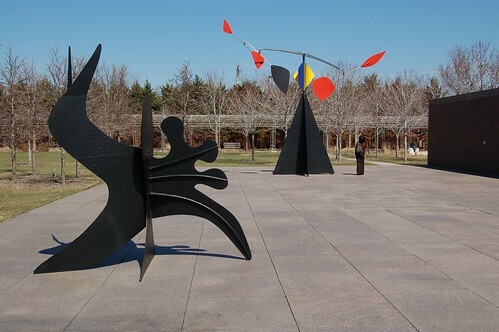 There are 40 permanent art installations and several other temporary art pieces that are displayed periodically. 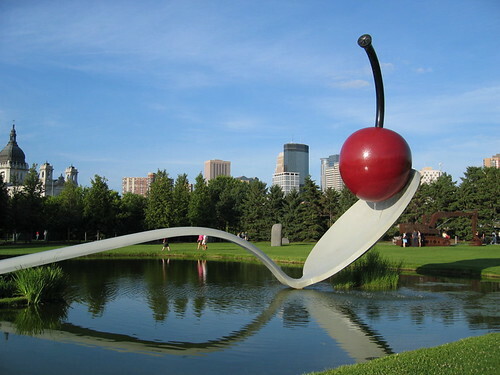 The most popular and major attraction of the Garden is a large Spoonbridge and Cherry designed by husband-wife team of by Claes Oldenburg and Coosje van Bruggen. 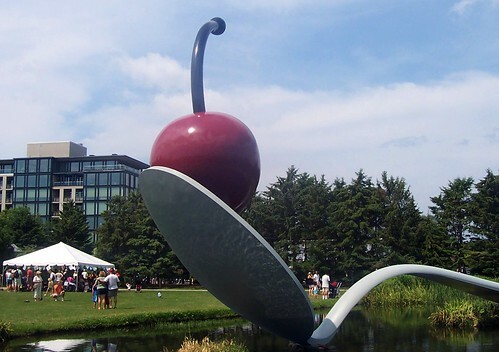 Made of Stainless steel, Aluminium and plastic paint the giant spoon is 52 feet (~15.84 metres) long and weighs about 5,800 pound (~2,630.8 kg) and the cherry weighs about 1,200 pound (~544.3 kg). 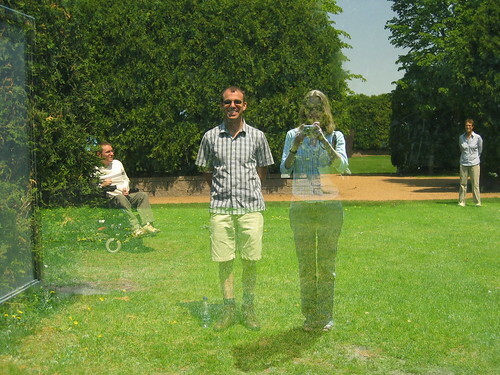 The photographer and the companion are on opposite sides of the two-way mirror. 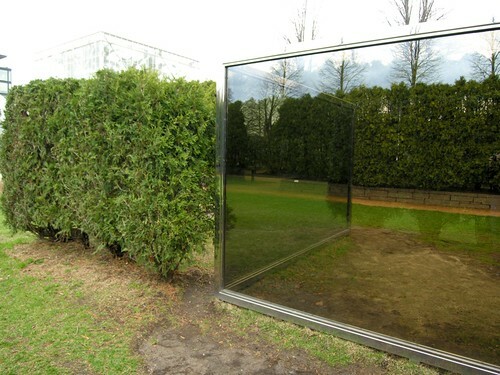 Note the directions of their shadows!